Outgoing CEO Lowell McAdam sent mixed messages on whether the U.S. telecom would buy a big media company. Replacing him with the chief tech guy suggests Verizon is more interested in growing its reach than its content. A bid for $15 bln satellite operator Dish could follow. 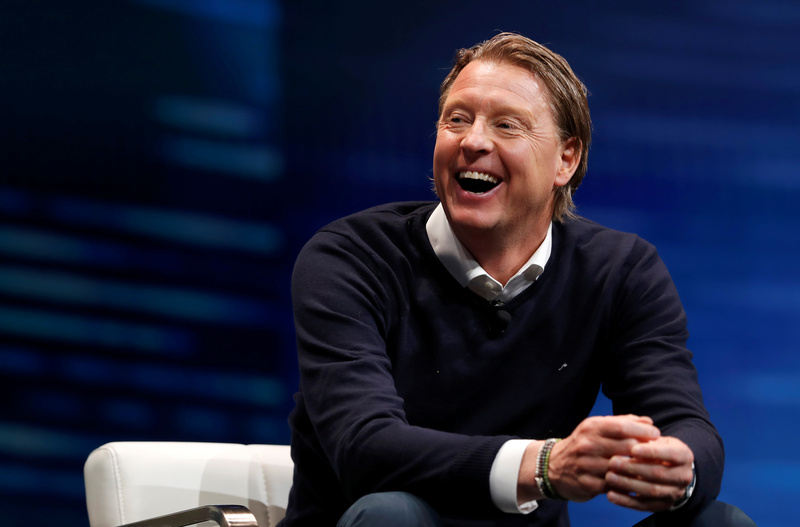 Hans Vestberg, Verizon executive vice president and president of Global Networks and Chief Technology Officer, smiles during a panel discussion on 5G wireless broadband technology during the 2018 CES in Las Vegas, Nevada, U.S. January 10, 2018. Verizon’s board of directors on June 8 named Hans Vestberg to succeed Lowell McAdam as chief executive officer. Vestberg will take over on Aug. 1. The 64-year-old McAdam, who is also currently chairman of the telecommunications group, will become non-executive chairman. Vestberg, 52, is executive vice president and president of global networks, and also Verizon’s chief technology officer. Before joining the company in 2017 he was chief executive of Ericsson. McAdam was named CEO on Aug. 1, 2011 and became chairman on Jan. 1, 2012.